Karaoke disco parties are perfect for having an adult get together, because singing after a few drinks is always going to be good fun! In order to do so, you’ve got the have the right tools at your disposal. This means that you’ll need to have a plethora of karaoke machines, as well as high-quality microphones and sound systems being set up. Show off your pipes! Singing is something that a lot of people enjoy doing, so when it happens in a party setting, it can help improve upon the vibe (and it’s just good fun in general). Karaoke will allow you to engage in singing alongside your favorite songs, and even some of your friends’ favorite songs! It gives people an opportunity to let loose and have fun, which is what a party is all about. If you want to make use of the most effective karaoke set-up and such, there’s really only one way to do it – through the use of Jenny’s Entertainment. If you wanted to consider the most professional options out there, I would have to be at the top of your checklist – karaoke disco parties just aren’t the same when I’m not the person supplying the goods! 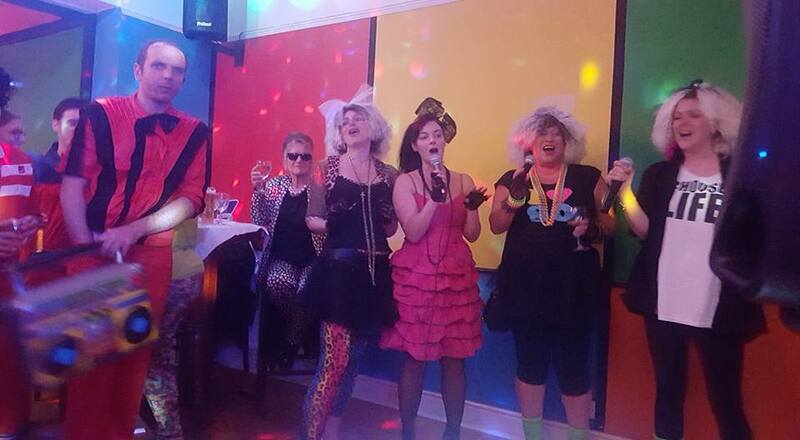 If you’ve got any sort of special event coming up, try out a karaoke disco party! Odds are you’ll have an abundance of fun, all while interacting with your guests the entire night.